I just love thinking about and planning my Disney vacations! The anticipation of what hotel you will stay at, the places you will eat, and the attractions you will experience is so exciting. Years ago all you had was the excitement to help get you through those weeks/months/years of waiting until your trip, but today we have some great Disney World vlogs to help get us through all that planning and waiting. The best Disney World vloggers bring you along for the journey, and while it’s not as good as being in the parks, it’s the next best thing to it. 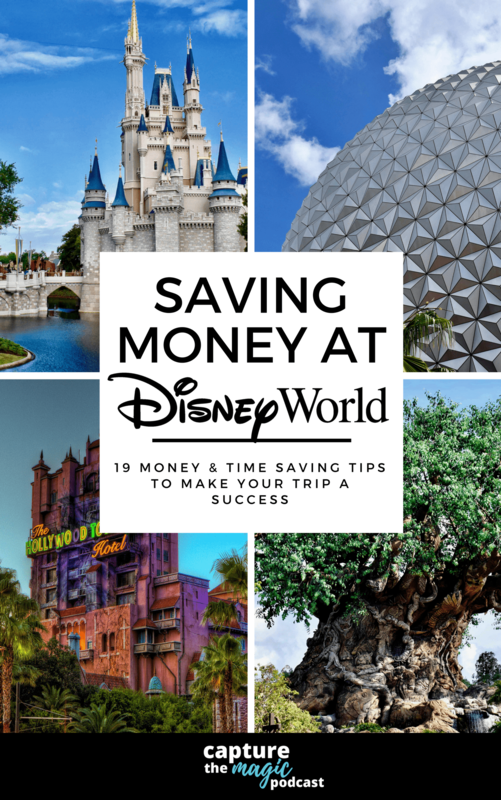 It’s also a great way to get some insight, tips and other things you can use on your next trip just by joining along on the fun with a Disney World vlog. With how quickly things change in the parks today the best Disney World vlogs are an invaluable resource to help you stay on top of all recent changes, construction updates, new restaurants and much more. Given that these changes can and will probably affect your next Disney World trip to some degree, Disney vlogs really should become a resource all Disney planners use in their repertoire of vacation preparing tools. So we know Disney World vlogs are a great resource for fun, entertainment, and education the next question you may be asking yourself is what are the best Disney World vlogs of 2018? Well since we watch a lot of them and even have one ourselves, we are here to help you find the best ones for you. Below you’ll find the Disney vlogs we love and recommend you check out as well. It probably doesn’t take Sherlock Holmes to realize that this vlog is, of course, ours but if you’re looking for an up and coming Disney vlog, then we think you’ll like what we’ve got to offer. We have a unique channel in that on top of the podcast which we have video versions of on the YouTube channel we also have our Disney vlogs where you can join us on our Disney World adventures as well as other destinations we visit along the way. We post new vlogs at least once a week along with new video episodes of the Capture The Magic Podcast that go up twice a week as well. We also have some great new content in the works with some new vlogs, new shows and more coming soon! We hope you’ll join us for all the fun and let us know what you think! I started watching this couple a year ago and immediately liked them. They are one of those couples that have a joy of Disney that is contagious. Plus, they are super friendly and showcase other vloggers in their videos! Brock and Promise, who live in Florida now, release a new video an average of 2 times per week. The style of videos is very laid back, yet really fun. Interesting fact: Promise used to be a cast member at Hollywood Studios many years ago, so her view of Disney is somewhat different than most of the other Disney vlogs out there. While there are many international Disney vloggers that vlog about Disney Parks, Krispy Smore is my favorite! Another couple on the list, Stephie, and Dave, used to be cast members before meeting almost 10 years ago! New vlogs are released 3ish times per week, and the focus on trip preparation, food reviews, and unique park experiences. Their English accents are refreshing to listen to as well. And since they are from the UK, and are close to France, some of their Disney vlogs cover Disneyland Paris! They are the only vlog on this list to do that! I feel like I learn A TON from their vlogs about Disneyland Paris, in case I want to travel there someday! There are very few Disney vlogs on YouTube that feature families with children. Most are couples, which makes sense since vlogging is not super easy with kids, but I find it very refreshing to see a close-knit family vlog about their travel experiences. It’s definitely a different take and point of view having children in front of the camera as they talk about their opinions on certain attractions, hotels, etc. And this family travels EVERYWHERE, not just Disney, so this vlog is a great option for you if you enjoy following this particular family in places other than theme parks. They are into their 8th year of vlogging. I encourage those interested in checking out this channel to go back to earlier vlogs and see how the kids have grown and changed, as well as their opinions of Disney. Although not one of your traditional Disney vlogs, Big Fat Panda (aka John Saccheri) has been a part of the Disney community for many years. He hosts a monthly talk show on YouTube and posts clips of Disney World related content, in a format he calls “Pandavision.” Since he has been around the Disney media community for about 10 years, he has a ton of knowledge and experiences with Disney World first hand. You can see him attend special events and be in the parks with him, and it feels like you are really there! You have to check his channel out. If you have watched any kind of Disney vlogs before, I have no doubt that you have heard of this guy, Tim Tracker. With creeping up to 400,000 subscribers, it’s safe to say that Tim (and his wife Jenn, who is occasionally featured in the videos), are the most popular Disney World vloggers on Youtube. Perhaps even the most popular Florida theme park vlogger! Out of all of the listed vloggers, Tim Tracker produces the most content, releasing a new video EVERY SINGLE DAY! Most of the time, the videos cover Universal Studios Florida and Disney Parks and Resorts, but every so often there are ones about their home life, other Florida theme parks, and special events they attend. They also do a weekly video chat and mail video on YouTube that is live to the audience. Personally, I feel that Tim and Jenn together are very fun and interesting to watch. Because they have done SO MANY videos since they started vlogging in 2009, they’ve gotten very good at videography. Tim has a good grasp on filming, while Jenn is a master editor. Honestly, if you could only choose one Disney World vlogging channel to watch, I would choose this one. There are a lot of Disney World vlogs out there on YouTube so it can sometimes be difficult to know which ones are worth watching. It can be hard to judge what are the best Disney World vloggers out there today but hopefully, the list above has helped you in seeing some of the best, and ones that you can check out soon. Whether you have an upcoming Disney trip planned or not, sometimes it is just nice to watch other people enjoying their time in Disney parks. Whatever the reason you watch Disney vlogs is, you can’t go wrong if you choose one from our list! If you enjoyed this article then you should check out some other articles we’ve got, like our “Can You Bring Food Into Disney World” article to help you get ready for your next trip.